(Michigan) Visual meditation! 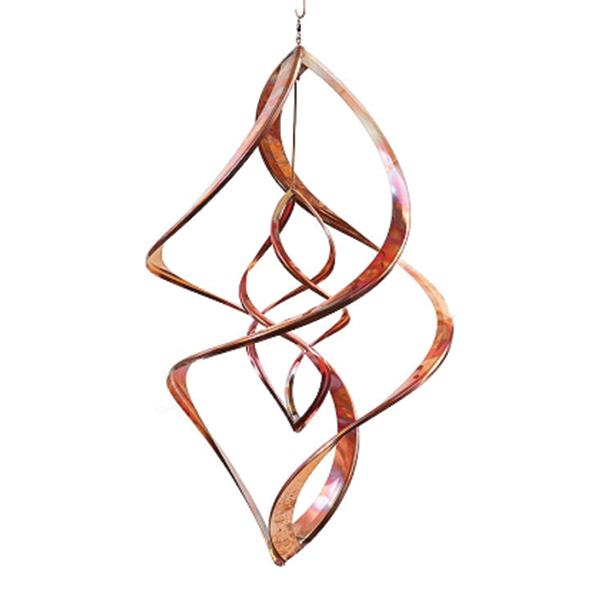 Pure Copper kinetic art, spinners create a mesmerizing visual pattern. The eye follows the triple helix design as it rotates in a peaceful clockwise direction providing a very relaxing meditative state of mind. 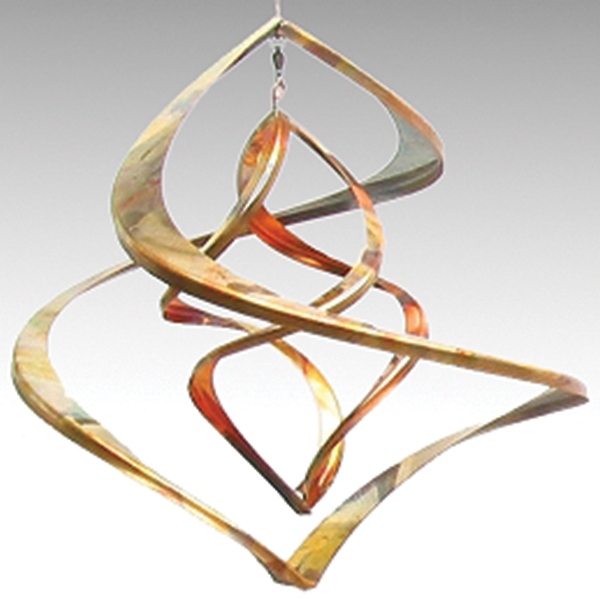 Around the center infinity revolves a twin strut oval, going counterclockwise,creating a hypnotic mindscape. Available only at our Oakland location.